We all know that prescription drug prices are high. But did you know that the price you pay at one pharmacy could be several times what you’d be charged at another pharmacy, for the same drug? That’s the conclusion of U.S. PIRG Education Fund’s latest report, The Real Price of Medications, based on surveys of more than 250 pharmacies in 12 states from Massachusetts to Wisconsin to Arizona to Florida. CBS This Morning was among the media outlets that picked up the story. Our survey found the majority of pharmacies selling common medications at vastly inflated prices—averaging almost nine times the cheapest available price. 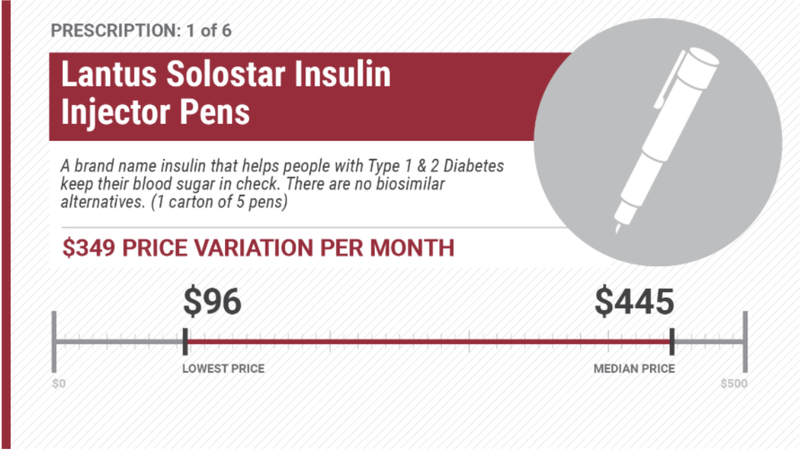 In just one example, the majority of pharmacies sold the same insulin (same drug, same dose) for $445 a month. The cheapest price we found was $96. Counterintuitively, our research found that small chain stores and independent pharmacies tend to be less expensive than the big chain stores. Healthcare remains a top concern among the public. Polling reveals that most people like their health plans; they just think they pay too much. And they’re right. One of the reasons is the cost of prescription drugs—which, it turns out, might be severely inflated depending on where you shop. While consumers can shop around to save money right now, we shouldn’t face these hidden price discrepancies. They are bad for consumers struggling to pay for expensive medicine, they’re bad for our insurance premiums, they’re bad for public trust in our health care system, and worst of all, they’re bad for consumers’ health, as people ration their own medications. Bipartisan momentum is building behind solutions, from patent reforms that would encourage more generic drugs, to transparency steps that would nudge the market toward greater competition. Others are looking at how to end price gouging on medications, which drives up cost without any benefit to our health. Red, purple and blue states, from Tennessee to Pennsylvania to Illinois, are looking at steps they can take to rein in high prescription drug prices. Oregon is already cutting waste in the health insurance industry, and California is making hospital prices more transparent, thanks to laws backed by the PIRGs in these states. Americans want quality care at a fair price. 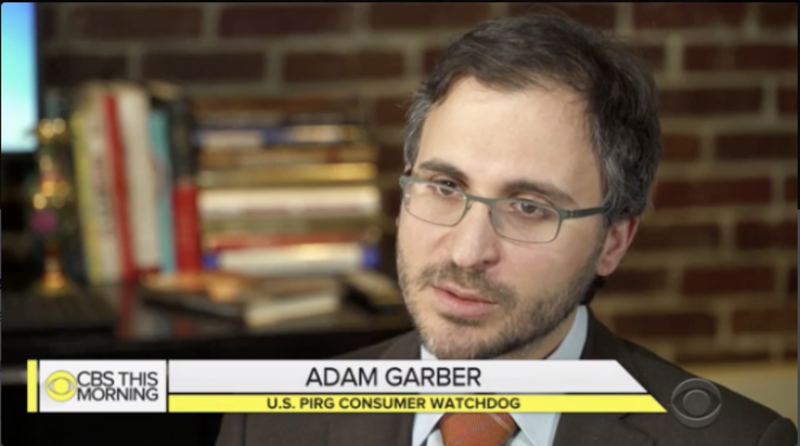 PIRG remains committed to finding practical steps that government, industry and consumers can take to achieve just that.